Motorola One Power will be launched in India soon. Lenovo's company will roll out Motorola One Power on September 24 in the Indian market. Let's say this smartphone was rolled out in the IFA 2108 trade show organized in Berlin last month with Motorola One. This phone comes with Max Vision Display and Snapdragon 636 processor. Motorola One Power is part of Google's Android One program. This means that Motorola's phone will receive regular Android updates. Due to being part of the Android One program, the user will get stock Android experience in Motorola One Power. It can be said with confidence that Motorola One Power is expected to receive Android pie updates in the future. Motorola India's official Twitter handle confirmed Monday the date for the launch of Motorola One Power in India. 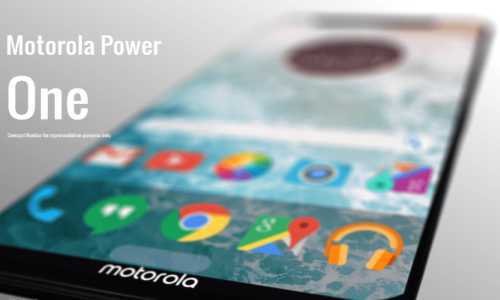 A video has also been used in the tweet, with the branding of Motorola One Power. The company says that this handset is made in partnership with Motorola and Google. Motorola One Power will be sold in India for around Rs. 14,000. I.e. its direct encounter with Redmi Note 5 Pro. At the moment, no information has been provided about the availability of the phone. But during the IFA trade show, the company had told to sell Motorola One Power since October. Apart from this, this model is made exclusively for India. Motorola One Power mobile has a 6.2-inch Full-HD + (1080x2246 pixels) LCD Max Vision panel. The aspect ratio of this mobile has 19: 9. Motorola One Power has the Adreno 509 GPU with the Octa-Core Qualcomm Snapdragon 636 processor. The battery is of 4,850 mAh. Motorola One Power has dual rear camera setup. The primary camera sensor is of 16 megapixels and the secondary camera sensor is 5 megapixels. The front panel has a sensor of 12 megapixels. Connectivity features include 4G LTE, Bluetooth 5.0, Wi-Fi 802.11 AC, USB Type-C and 3.5mm headphone jack. The mobile fingerprint sensor is on the back of the phone.